One Michelin star and 3 AA rosettes. A Chef inspired by his surroundings. Forests rise all around, a stream meanders through the brook, goats graze in fields and deer amble past the door. This idyllic setting invites you to come and experience the peace and tranquillity of the Wye Valley. It's this location that gives the restaurant its flavours; aiming to present you with the most amazing local ingredients and foraged findings from the valley, which are used to create dishes which are individual and personal, reflecting a deep connection to the area. 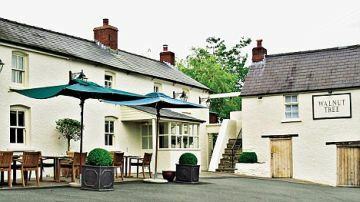 The Walnut Tree, Abergavenney One Michelin star restaurant near Abergavenny A famous inn and restaurant since the early 60's, The Walnut Tree sits two miles east of Abergavenny. It offers proper dining and drinking in an informal setting. There are around 20 tables simply laid. The restaurant seats up to 70 diners - Open from Tuesday to Saturday, lunchtime and evening. The food is an eclectic mix, based on Shaun Hill's personal taste, paired with sound cooking techniques; rather than a particular country's cuisine. A unifying feature is the core of excellent ingredients and the à la carte menu changes every day. Dishes are subject to availability of ingredients, especially relevant for fish and shellfish. So if you have set your heart on a particular item, phone us to check. If you have dietary or allergy issues, please inform them at the time of booking. We can prepare smaller portions of several dishes on the menu for our junior (i.e. under 12) diners. 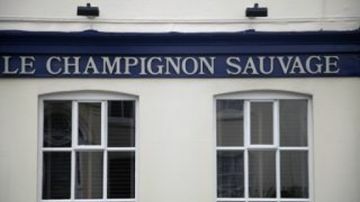 Le Champignon Sauvage - Cheltenahm - 40 mins - David Everitt-Matthias and his wife Helen have been running the restaurant since 1987. Two stars - Michelin Red Guide. Two stars - Harden's Guide. 4 AA rosettes. Good Food Guide 8/10 rating, 2014 Chef of the Year. Catey Chef of the Year. Decanter Restaurant of the Year. 10/10 Marina O'Loughlin, ' The Guardian'. 18/20 Matthew Fort, 'The Guardian'. 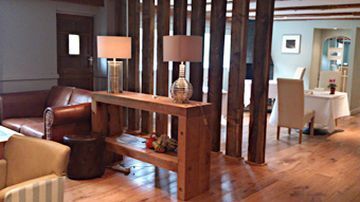 On entering Le Champignon Sauvage, guests will immediately notice an intimate feeling with a refreshing lack of pretension. This is a wonderful experience - guaranteed!